Ron and Maggie Tear Photography: Modern Fog. Not often do we have fog. I was on jury service at the Old Bailey and went to work early to get images of the Thames. The Tate Modern and Millenium bridge in the foreground. 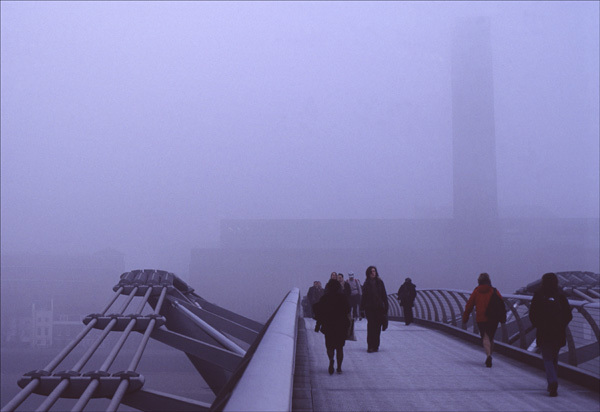 Atmospheric London. London, Sth bank, Tate Modern, Millenium Bridge.